I am so happy to have come across your web site. I live in a manufactured home, 2 years old. We don’t call it a trailer although it is in a mobile home park on a golf course. I love the way your redoing your home. We redid everything in ours, even the entry doors. We started with the kitchen. It is now 2 years old. 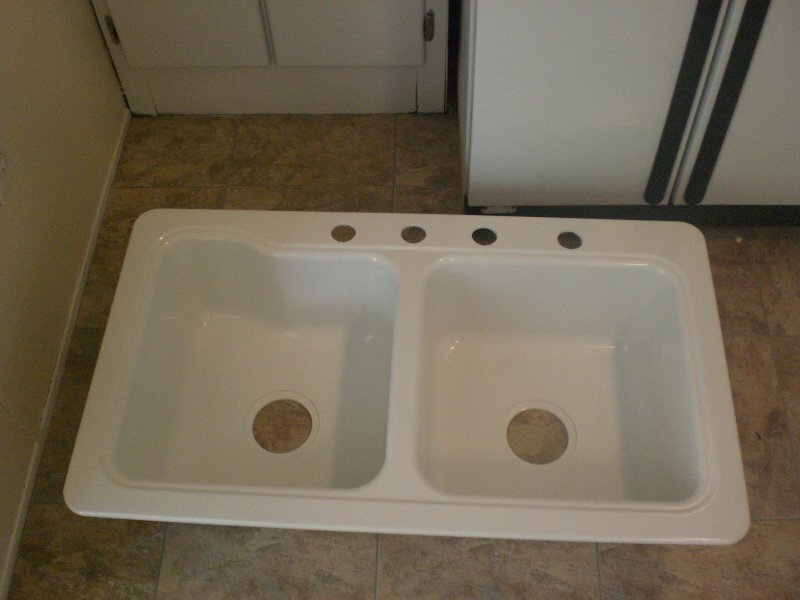 You can see the pictures of the almost finished kitchen on my blog. Since the pictures were taken we put down a new floor. The tile was horrible. We have redone the two bathrooms, bedrooms, flooring and entry doors. We had the whole place rewired too. And this is a new manufactured home. We now have it our way. I need to add more pictures to my blog. 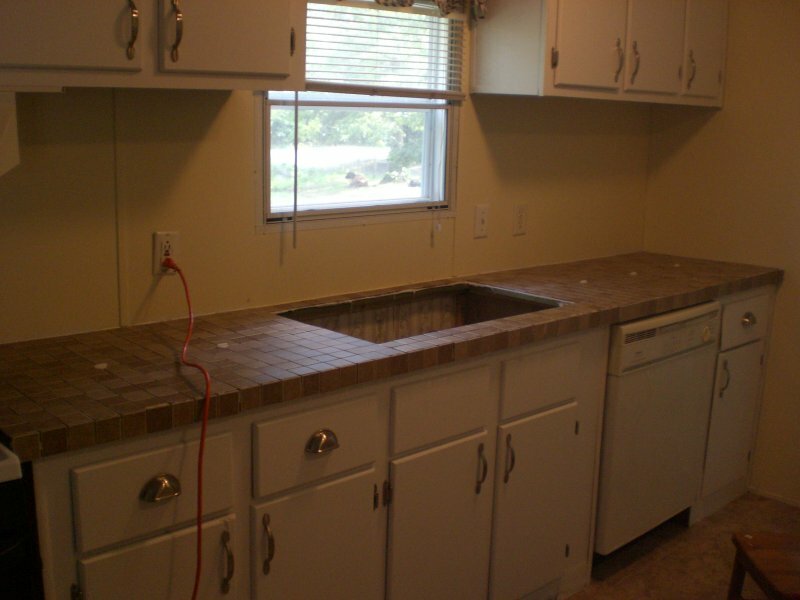 I am in the process of making a new blog about remodeling a manufactured home. That is why your blog made me so happy when I found it. Thank you so much for publishing such detailed instructions for this tiling project. I’m really excited to show it to my husband. 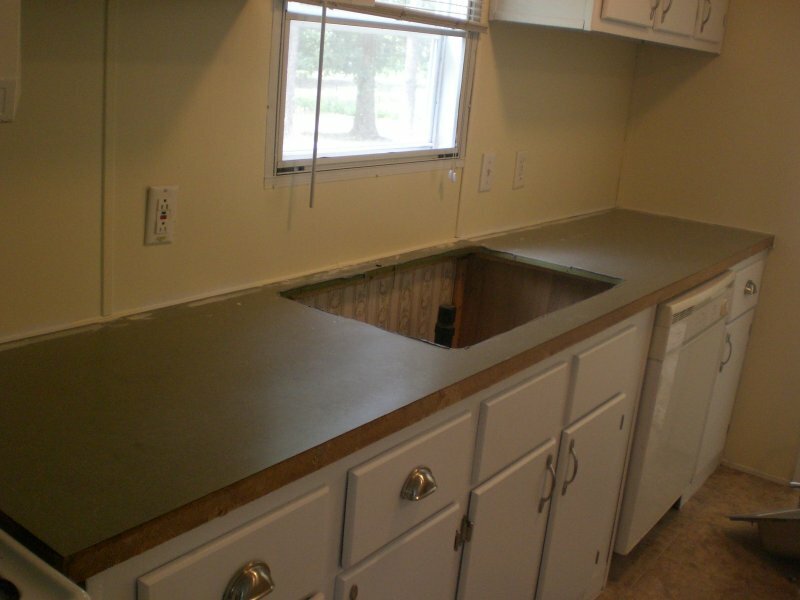 We’ve been saving for new counter tops and just haven’t been happy with the looks of the laminate that we could afford (as compared to granite/concrete, etc.). Your kitchen looks beautiful and I would really like to try this in ours. I really appreciate you detailing all of the little hassles you had doing the project too! Nothing like being realistic! 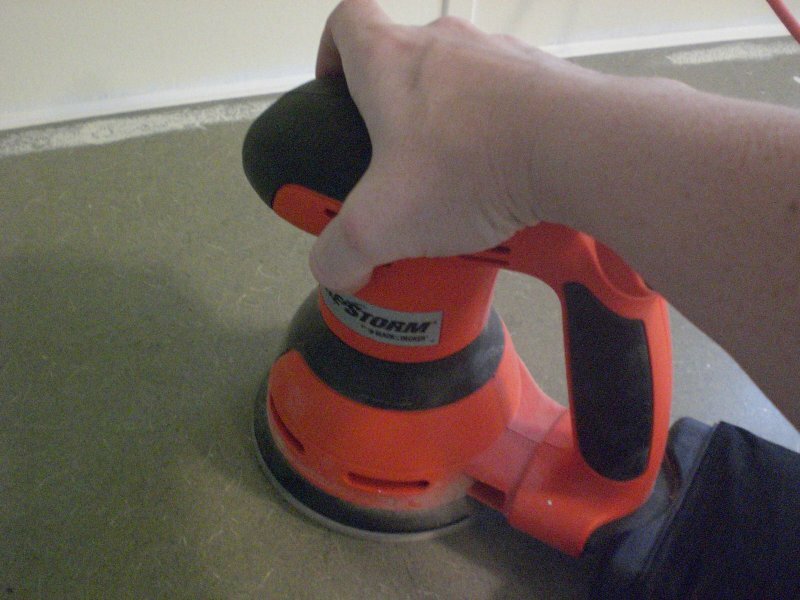 I recently read your post on how you tiled your countertop while i was researching how to do the exact same thing! We are going to tile over our formica counter and as a coincidence we have chosen tiles very similar to what you have used. I have a few questions, and if you could reply to my email address I would be very appreciative. First, have you had any problems with the fact that you tiled directly over the laminate? 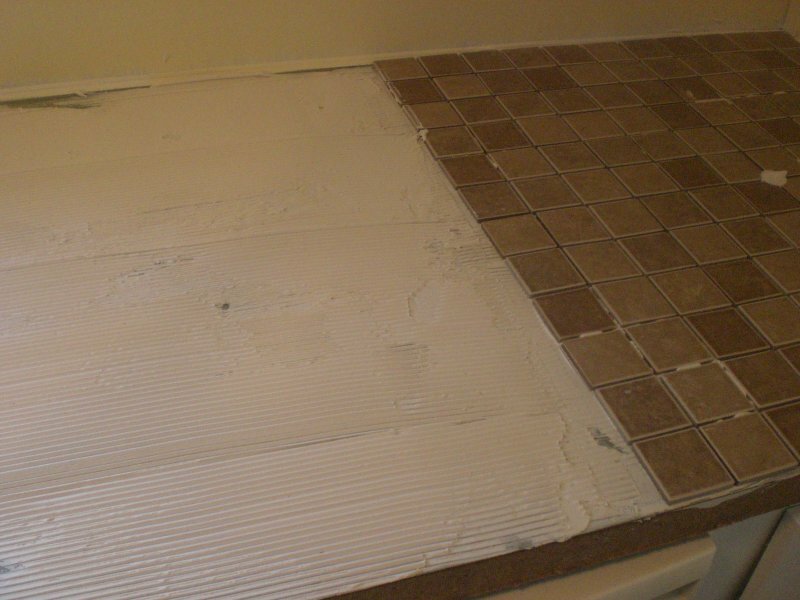 Have any tiles become loose? 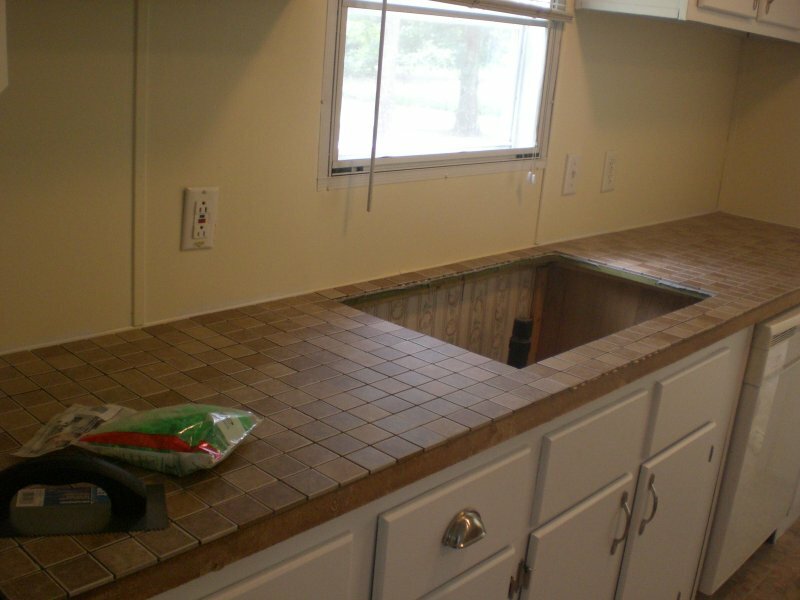 I noticed in one of the pictures that the tiles on the counters edge extend ever so slightly beyond the bottom of the counter. Has that been and issue with sharp edges or anything catching on it or even popping a tile off? Lastly, my wife’s big concern with using small tiles is the vast mount of grout lines that will have to be cleaned. Obviously we will seal the grout, but do you think that using larger tiles (fewer grout lines) would have been better or less maintenance? Any staining issues or food becoming lodged in the grout? Thank you so much! Keep up the great work! 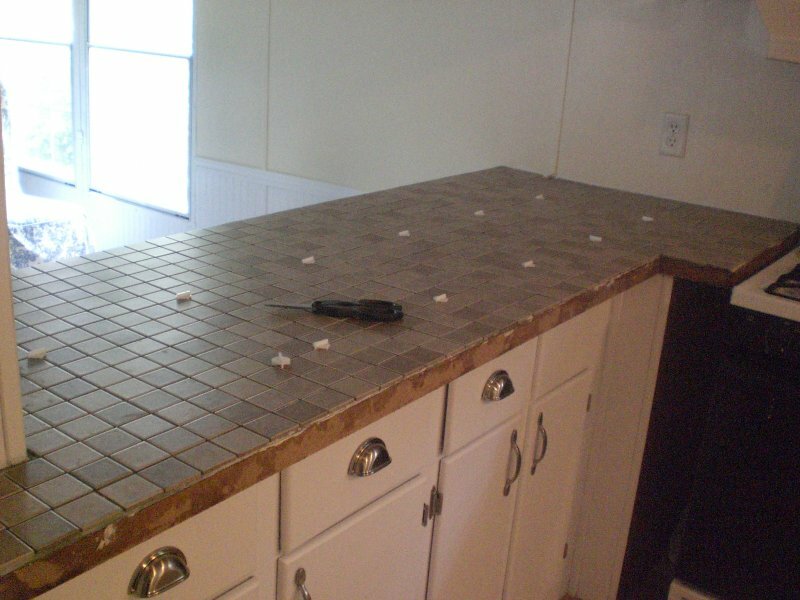 Thanks for tips about countertops, useful. The tile over laminate has held up beautifully. 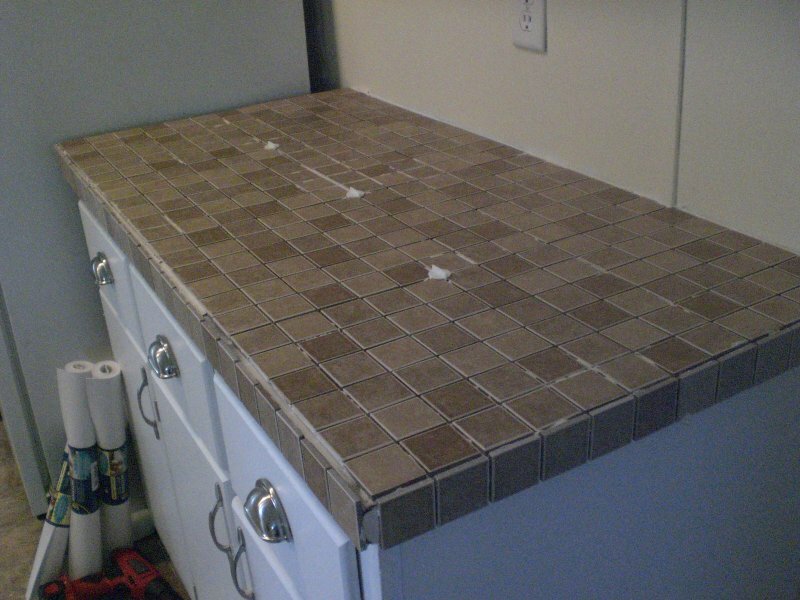 The only place I had to add more grout later was that single line of tile over the front laminate strip. 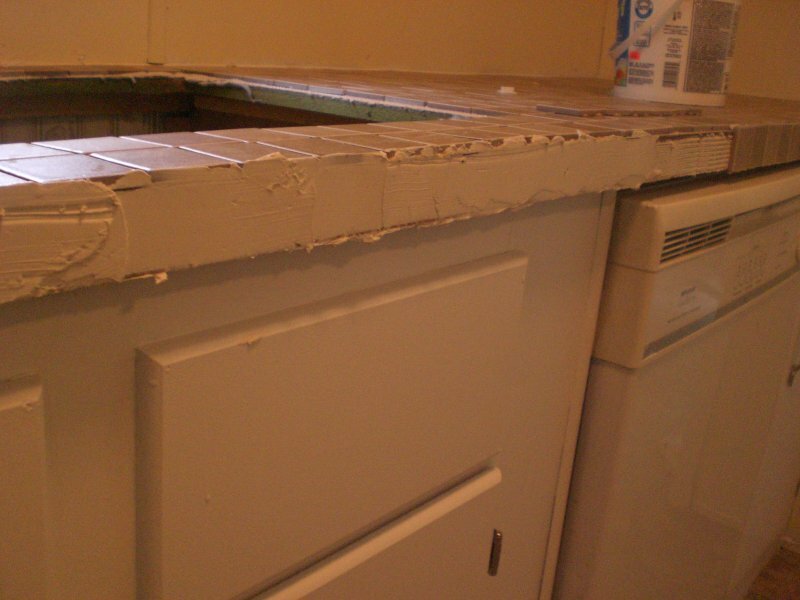 I don’t think I grouted enough there to start with, and it began to crack in front of the sink and over the dishwasher. This could also have been due to the location, because that area got a lot of abuse (and steam rising from the dishwasher). I just regrouted, resealed, and moved on. No problems since. Everything has held up beautifully, even with the single line of tile hanging over the edge. No tiles popping off or coming loose…. 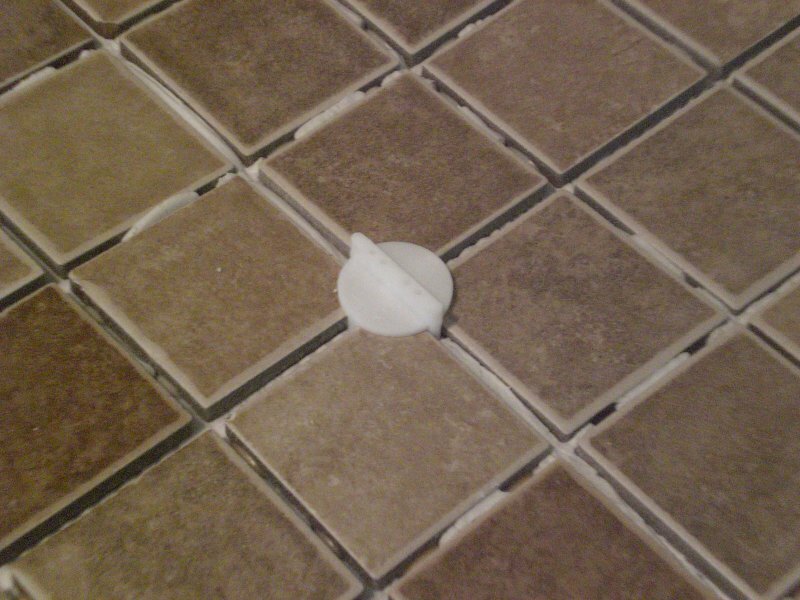 As for cleaning, if you avoid white tile and white grout, you’ll have no problems. 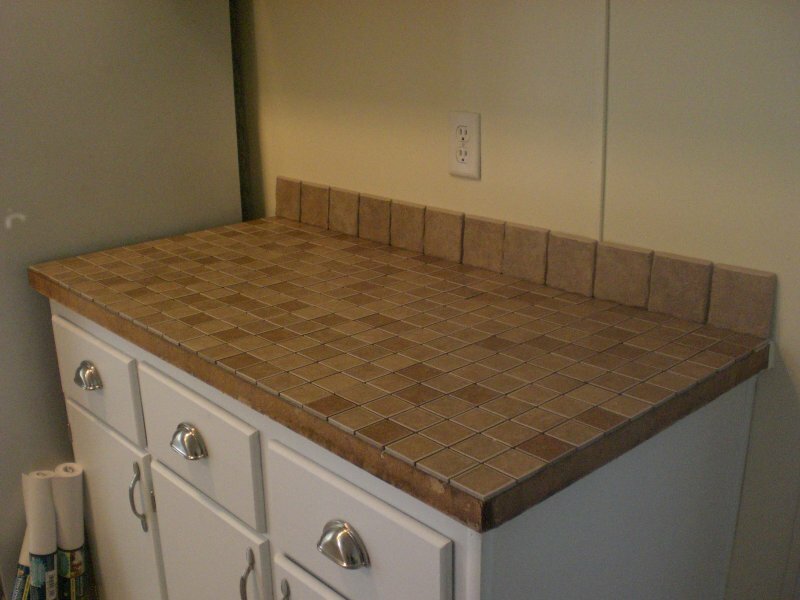 I was very glad I chose the brown tiles and tan grout. Even with constant use (and I mean constant! 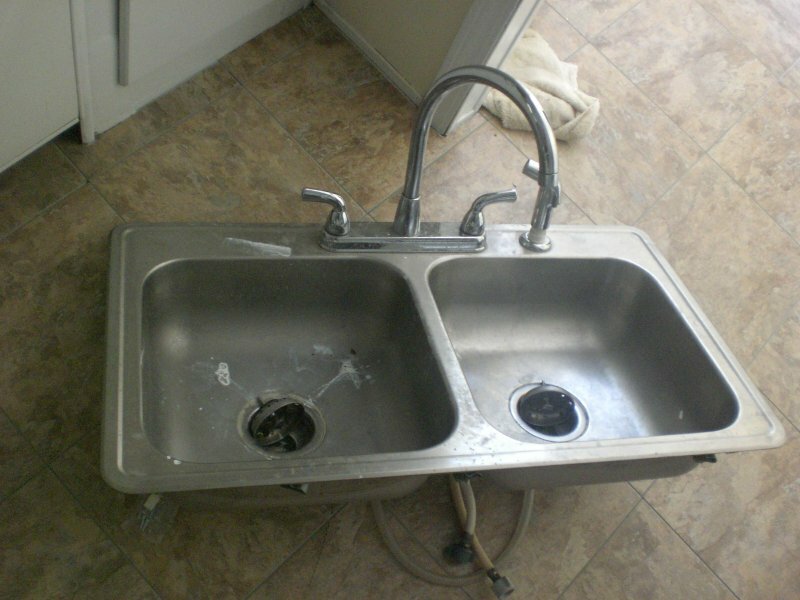 ), we had no problems with stains. 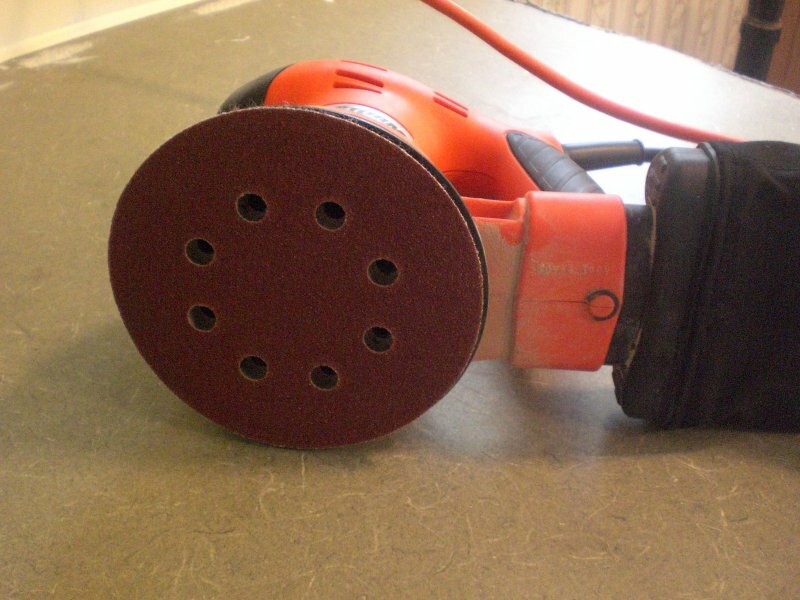 I used Barkeeper’s Friend once a week to scrub the countertops, and that works like a charm. 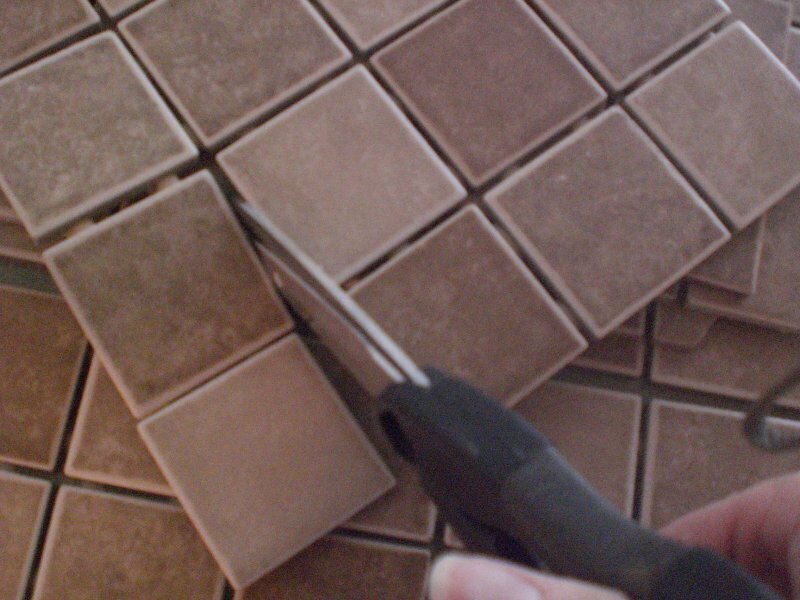 As for setting larger tiles to have fewer grout lines, you could certainly do that, but I think the main thing is the color of the grout. 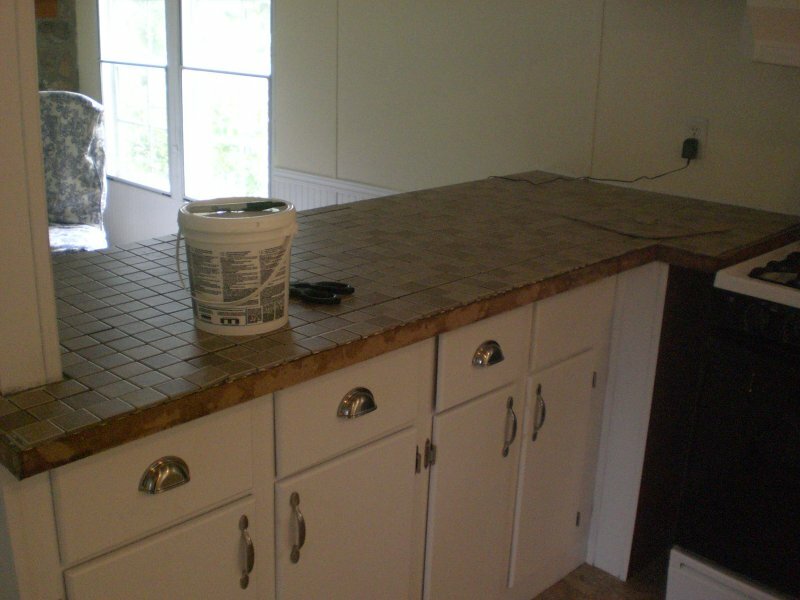 I had a kitchen many years ago with white tile/white grout countertops. THAT was a nightmare to keep clean, even with the grout sealed! Just pick a grime-friendly color, and you’ll be set!